Have you ever noticed how we attach traditional milestones to innovation? As today’s guest points out, it’s like putting a fast fish on land and expecting it to still be fast. 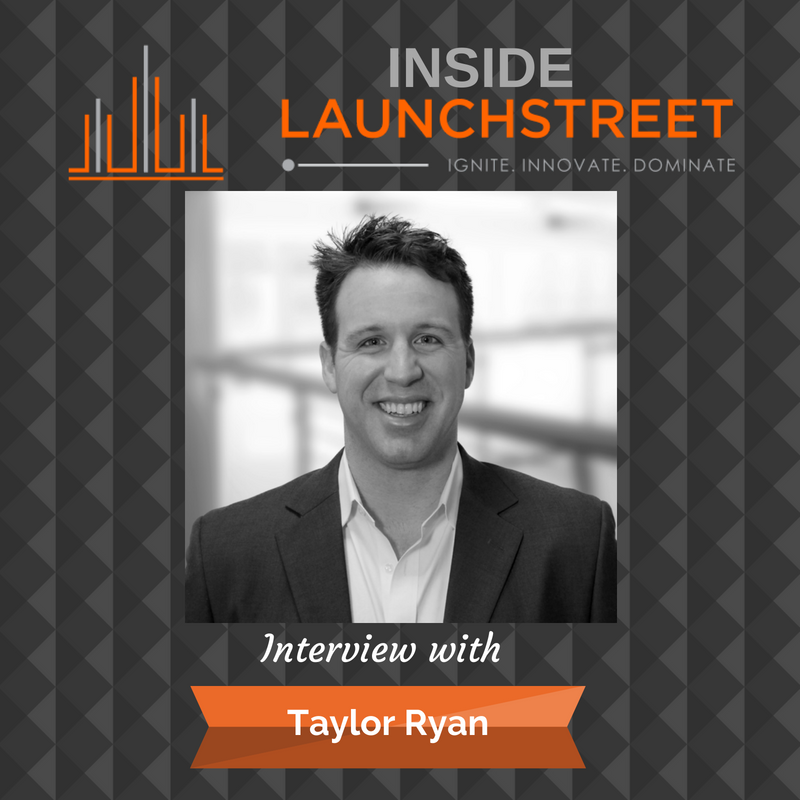 In this episode of Inside LaunchStreet, growth hacking and start-up junkie and CMO of valuer.ai, Taylor Ryan talks to us about how growth hacking is a way to innovate and why innovation advocates are important. We also delve into the mistakes we make around creating benchmarks and how to avoid them. [1:22] Tamara opens today’s show by asking listeners to sign up for InsideLaunchstreet’s free weekly newsletter. It will help you stretch your innovator muscles. [3:10] You might be surprised to learn that Taylor learned to hypnotize his friends in high school. [5:47] Listen in to find out how Taylor defines growth hacking. [7:21] Why is having growth tactics so important to business today? [9:51] Taylor believes that incubators and corporate garages are getting smarter and using top-down approaches. [12:04] Tamara and Taylor discuss why the C-suite need to be advocators of innovation. You must make the shift from only a few people innovating to leadership innovating. [13:56] How do you set milestones so that the C-suite is comfortable allowing you to continue to play and experiment without giving up too soon? [16:53] Tamara believes that sometimes we forget that the original idea took time. Seinfeld and Archie Bunker (All in the Family) took years before they actually caught on. Taylor and Tamara talk about if it’s counter to the standard, it’s a great indicator that the idea might work. Tamara talks about how Tough Mudder was counter to the standard when it first started. [19:01] Taylor discusses his worst startup ever, Gluten-free VIP. The failure occurred because of the lack of user interviews. [22:38] It’s so important to build those ideal customers profiles and find the customers that would actually get value out of your product. It’s easy to get blinded by the idea that you really want. [25:20] Taylor reminds listeners that you have to be objective to even your best ideas. Sometimes even in the face of all that you know is right, you can be proven wrong consistently. [26:07] What lessons has Taylor taken away from the failure of Gluten Free VIP? Could the craziest of ideas actually work? [29:15] Taylor talks about Valuer and why it works. [31:34] Taylor shares the secret to what today’s young professionals are looking for. [33:37] Tamara finds that if she invests in Millennials or X’s, they invest back. Taylor discusses choice anxiety and how that plays into the culture. They discuss old school benchmarks and how they hinder innovation. [36:26] Connect with Taylor on his blog at Valuer and on LinkedIn. [37:07] Taylor’s final piece of advice is to go where the puck is actually going. Not where it is right now. Tamara reminds listeners of the importance of looking into the future to find success. [38:28] Tamara loved the part about having milestones and benchmarks for moving forward. She questions if you have the right benchmarks or if you are trying to put a fish on land.